One of the most highly anticipated and inspiring movies Hichki starring Rani Mukerji is set to hit theaters on March 23rd. Directed by Siddharth P Malhotra, the heart touching film sees the acclaimed actress playing the role of Naina Mathur who has a nervous system disorder, Tourette Syndrome that forces an individual to make involuntary repetitive movements or sounds. Hichki focusses on turning disadvantages into opportunities and staring down at challenges that life throws at one and ultimately winning over them. So here’s the big news! 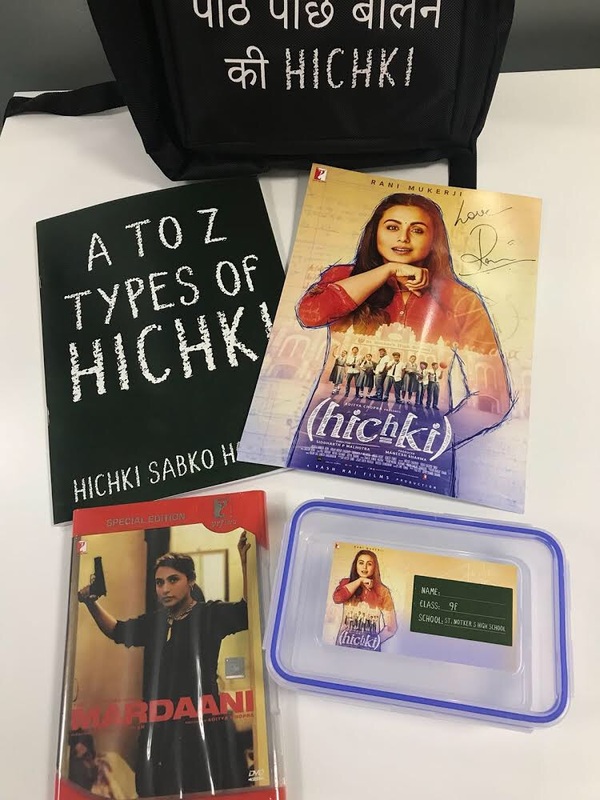 We have such a special Hichki contest for our UK readers! 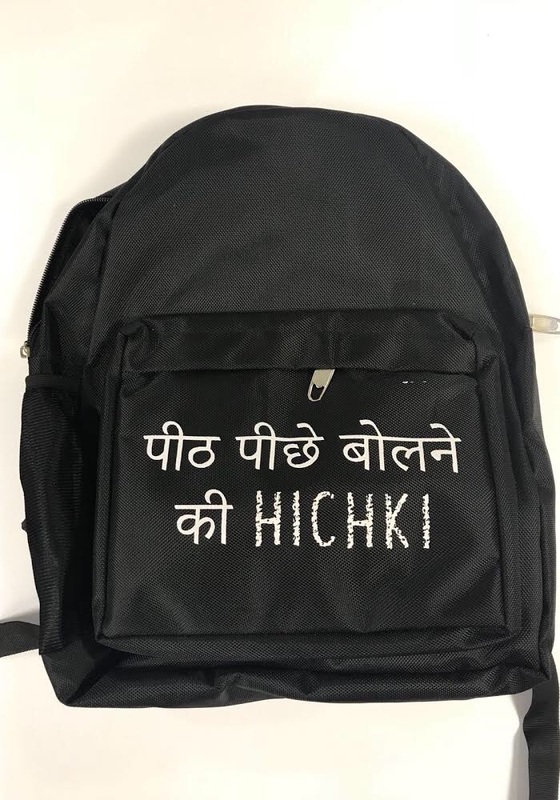 You can win a rucksack full of amazing Hichki merchandise! If that was not cool enough one of the items is signed by Rani! Yes, so true and so cool! In fact, if we weren’t running this contest we would want to totally try our luck! You can also, if you want to, include why you are looking forward to seeing the film. It may be used in an article on the site. Email your answers to editors@bollyspice.com along with your name, address and phone number. Open only to UK residents!